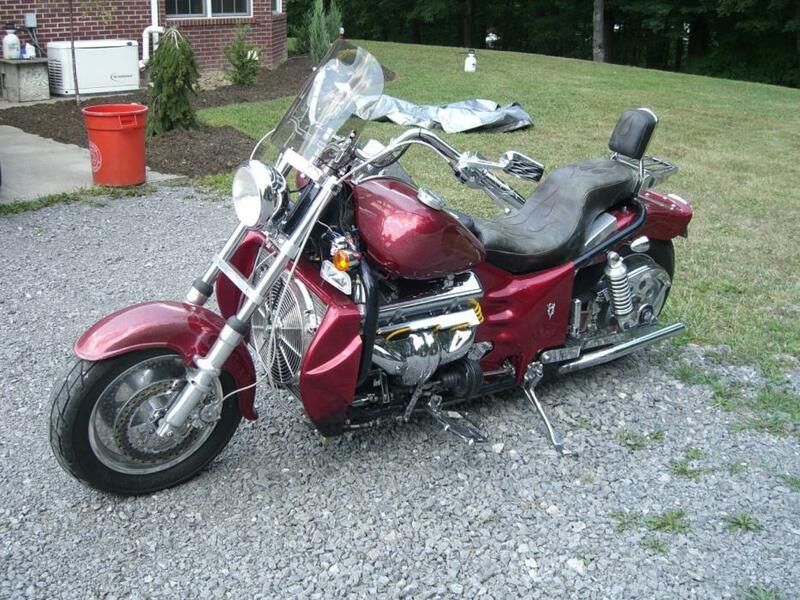 For sale is my 2008 Boss Hoss BHC-3 motorcycle. 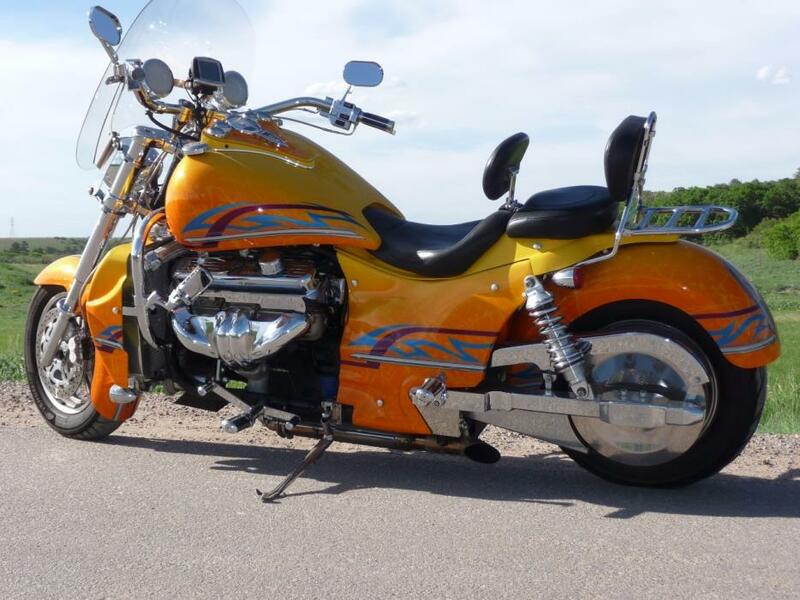 It is powered by a 350 5.7 Chevrolet engine with 385 hp and is fuel injected. It has 15,154 meticulously carried for miles. 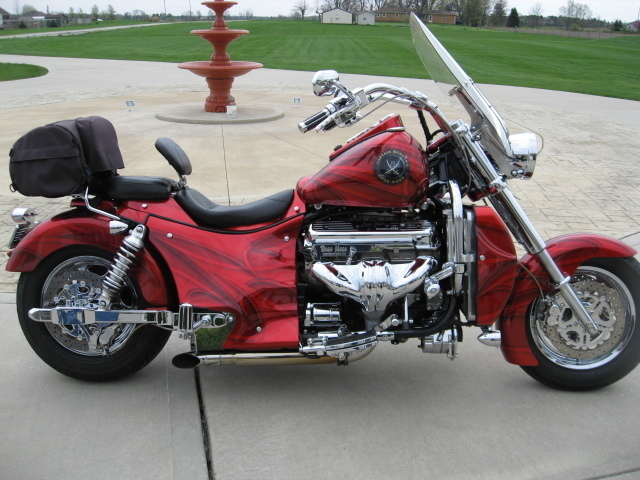 This is a bike that was built by Mountain Boss Hoss and they had it painted by professional painter Kenny Dean in beautiful candy apple red with several color inlays. Look close to see the colors. It has been adult ridden and kept in a heated garage. 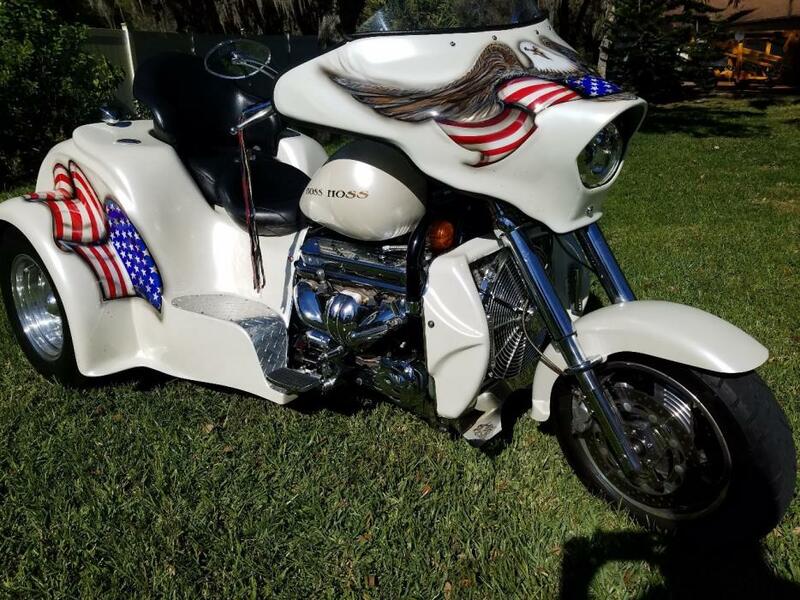 The options it has are windshield, cruise pegs, driving lights, luggage rack with tour bag, mustang seat w/ rider's back rest, passenger seat, pull back reduced reach handlebars, and saved for last is the best option of electronic cruise control. Regulary maintained with a new Odyssey battery and Avon rear tire. The rear axle hub is also painted red with the chrome rear wheel for a nice contrast. 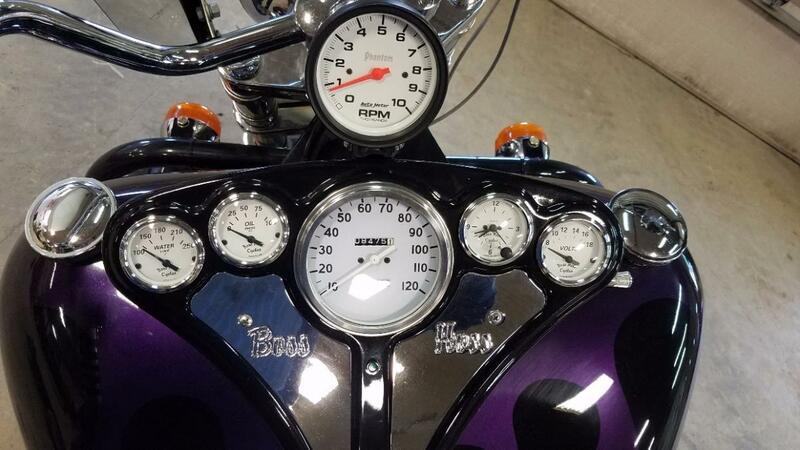 It will be hard to find a nicer Boss Hoss than this in this year and price range. This RARE FIND is ready for the road. 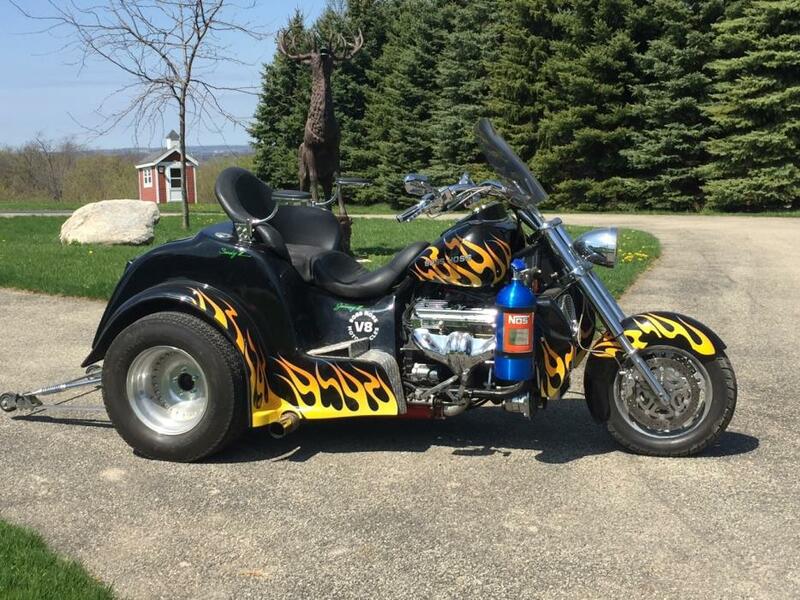 Powered by a Chevy 350 cubic inch motor that puts out 375 horsepower. This Boss Hoss is in pristine condition:Original OwnerCustom PaintChevy V8 PoweredMileage is 11kGarage Kept and CoveredExcellent ConditionChrome WheelsChrome ChassisBack RestExtra Passenger seat with backrestIt has never been droppedNever been in an accidentPRISTiNE CONDITIONTOO MUCH TO LISTMY BOSS HOSS has a clear title, has been pampered and taken excellent care of. 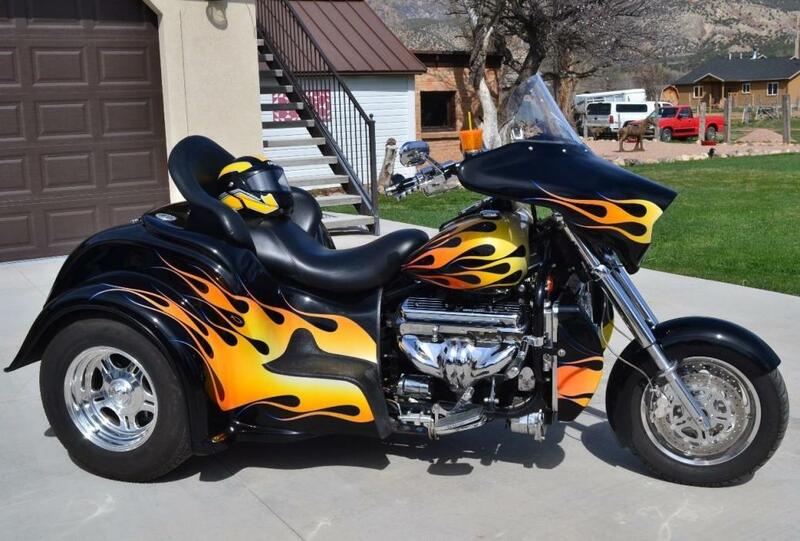 It's probably one of the best bikes west of the Mississippi and will amaze even a die hard rider. 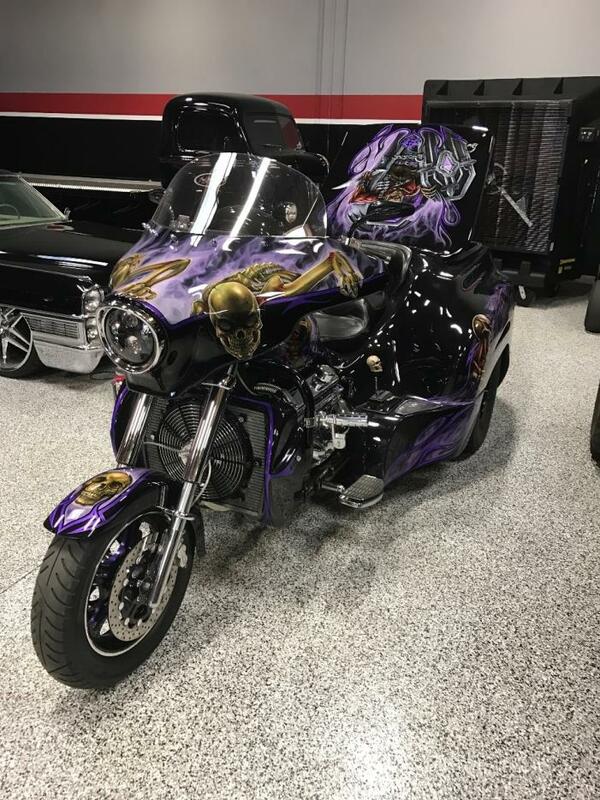 I spent a lot of money on custom paint, chrome, and special detailing to make this one hell of a ride. SERIOUS INQUIRIES ONLY. 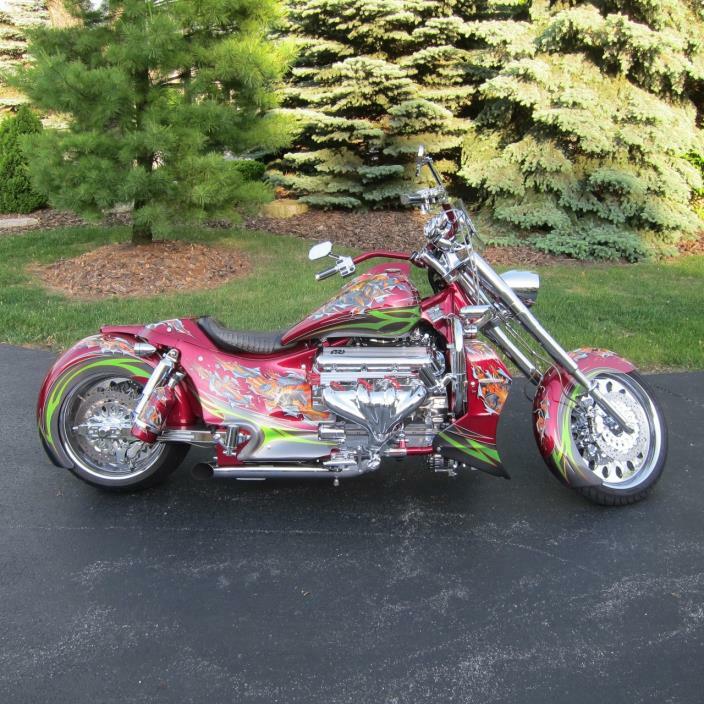 keywords: Boss Hoss, Chevy 350, rv., Harley Davidson, super motor, horsepower, dream machine, car motorcycle, Sturgis, rally. 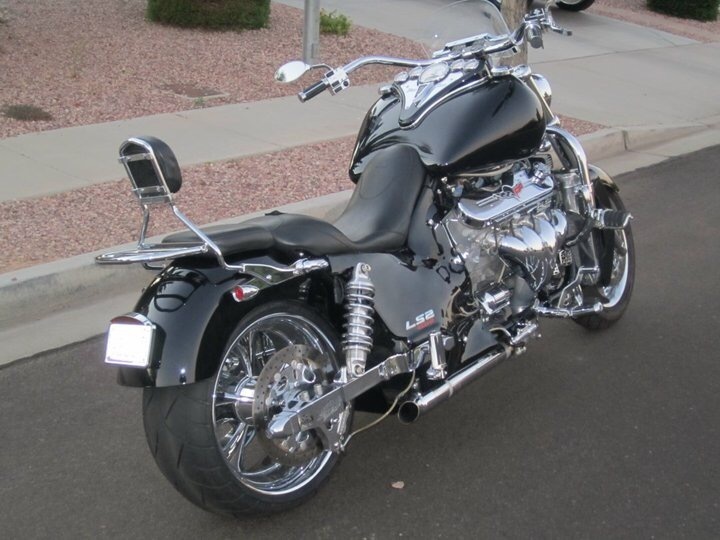 2008 Boss Hoss 32 Coupe. 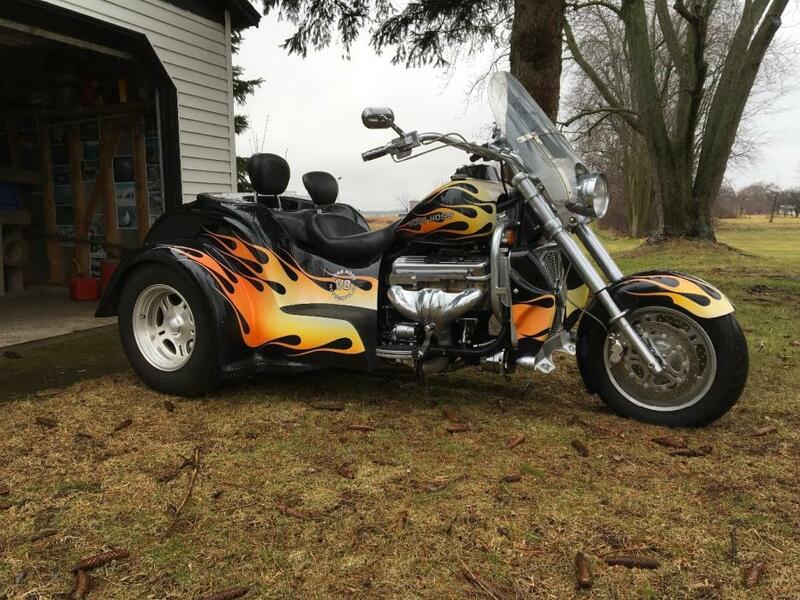 385HP, 35000 mi, Air Ride Shocks, Windshield, Corbin Seat w/Passenger Back Rest, Lower Air Dam with Fog Lights, New Ft Tire, This Trike is in Excellent Condition. 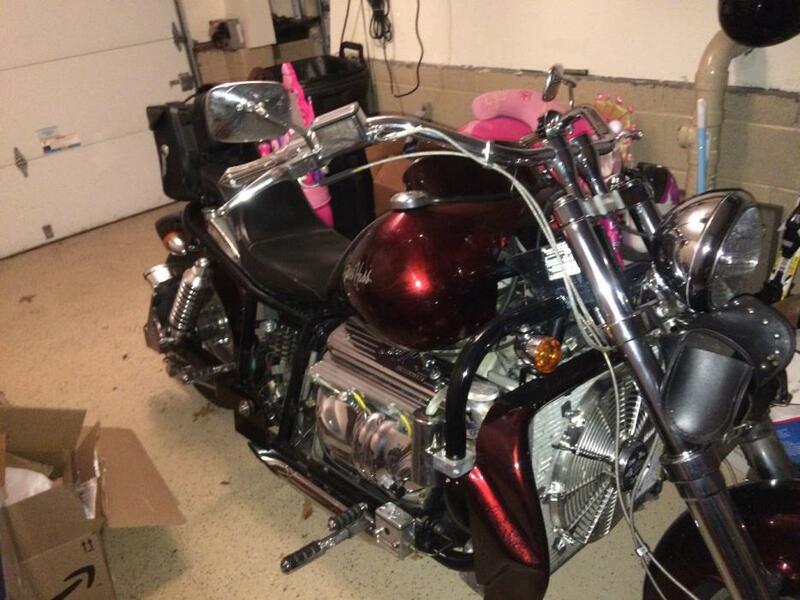 Female Driven and Pampered, Mama wants a new bike. Sweet Ride, gets lots of attention. Buy with confidence. 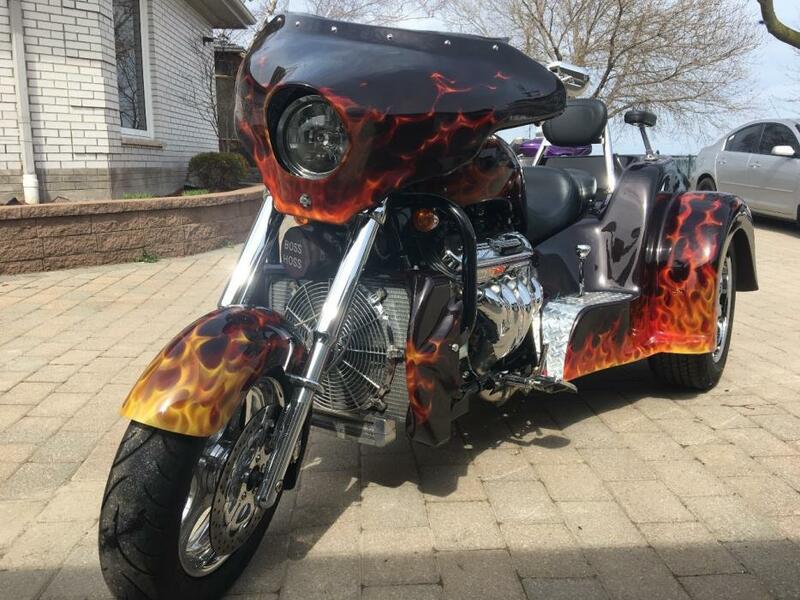 This bike is awesome and a head turner. 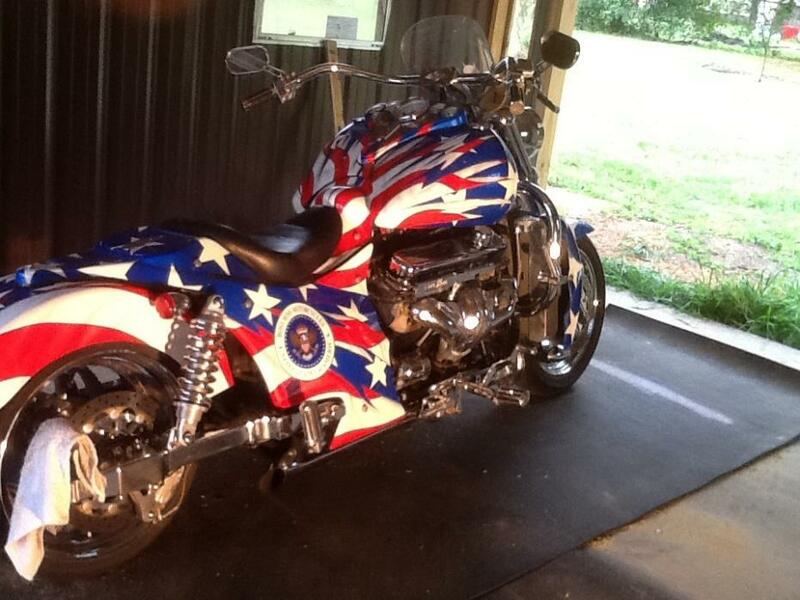 This bike make a harley look impotent! Its so much fun to ride! 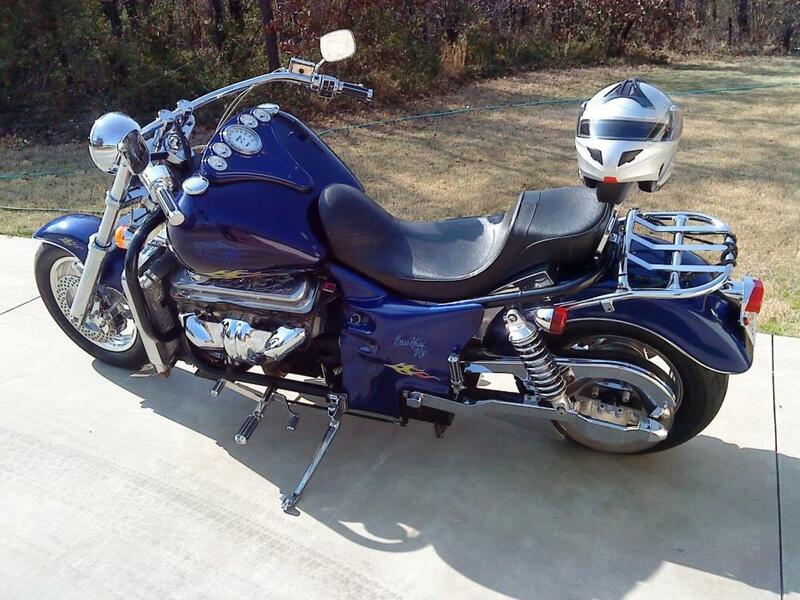 The bike has 12100 miles on it and rides like a raped ape! Sounds like a off shore racing boat! LS 2 Corvette 425hp. Fuel Injected. 18" custom wheels. New 300mm rear tire. LED turn singles. LED license plate. Lots of chrome. Lots of customer features. Runs like a couch on a rocket.